3. With the mixer on the lowest setting, slowly incorporate the dry ingredients into the wet. 4. The dough will be sticky. Separate into two portions and wrap each in wax paper. Let the dough chill in the fridge overnight or if in a hurry, chill for 30 minutes in the freezer. 6. Once the dough is chilled, remove from freezer/fridge. Make balls of dough that weigh about 21 grams (to ensure consistent size) each or a tablespoon each if you do not own an electronic scale. Roll the balls of dough in sugar. These cookies will spread in the over so place only about 8 cookies per silpat-lined baking sheet. Gently press down on each ball of dough until it is about 1/2 inch thick before putting in the oven. I absolutely LOVE molasses cookies. There is nothing like a warmly spiced, gingery molasses cookie to really make it feel like the start of the holiday season. 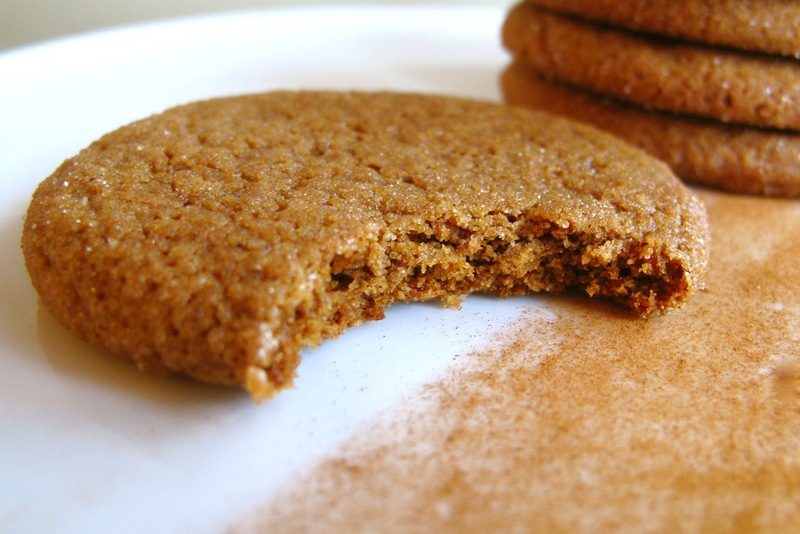 I used to always bake my default gingersnap cookies that have a very similar flavor but are crunchy and crispy in texture. This time, I felt like making a chewy cookie. I did some research and ended up with these. I was VERY pleased. Perfectly soft and chewy in the center, with a slightly crispy edge, these molasses cookies definitely satisfied my holiday sweet-tooth. I increased the spice amounts in the recipe and ended up with a wonderfully spicy cookie. Being rolled in sugar also makes these cookies beautiful and sparkly to look at! 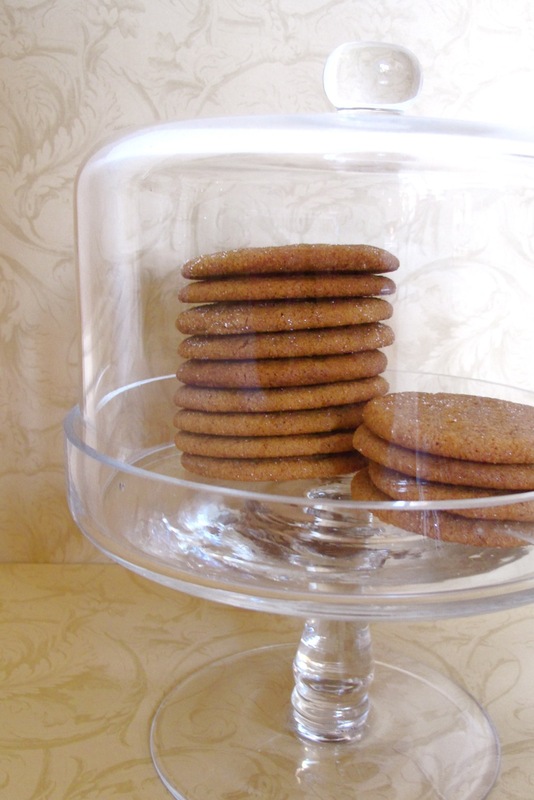 why does everyone want to wait until Christmas - My gramma used to give me her molasses cookies ... one for each hand ... all year long... these sound great I will try them today!